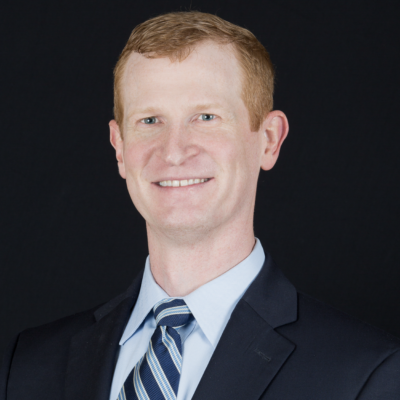 Mr. Hickerson joined Shuttleworth PLLC in 2008 and practices in the area of civil litigation. Mr. Hickerson has experience with both the defense and plaintiff’s bars although his legal practice focuses primarily on general liability defense where he works closely with members of the insurance industry and with claims representatives of local, regional, national, and multi-national companies and corporations. Mr. Hickerson is licensed to practice law in all Tennessee State and Federal Courts and the United States Court of Appeals for the Sixth Circuit. He is a member of the Knoxville Bar Association, the Tennessee Bar Association, the Defense Research Institute, and has served as a member of the Leo Bearman, Sr. Chapter of the American Inn of Court. Mr. Hickerson graduated from the University of Memphis, Cecil C. Humphreys School of Law in 2007. While in law school, Mr. Hickerson participated in numerous legal competitions and was elected to serve in several leadership roles within the Student Bar Association, including class representative and student body president. Prior to attending law school, Mr. Hickerson graduated from the University of Tennessee at Knoxville where he was heavily involved in both academic and extracurricular organizations, holding numerous offices and being inducted into both the English and Sociological Honors Societies. Over the years, Mr. Hickerson has been the recipient of numerous awards for his service and leadership including the Balfour Leadership Award, the Clark M. Roberts Memorial Scholarship for Service, the Dean’s Distinguished Service Award, and the Professor Walton W. Garrett Scholarship.